Stress is a massive contributor to many illnesses including depression, anxiety, diabetes and high blood pressure. 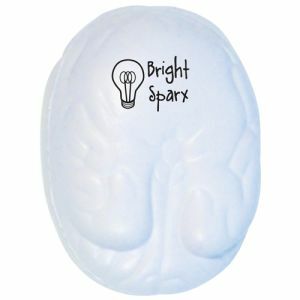 So, what better way to promote relaxation (as well as your business) than with a personalised stress ball? 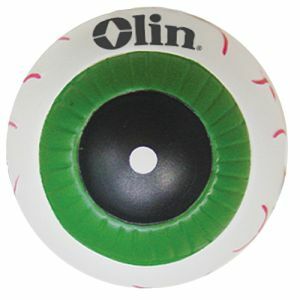 It doesn’t matter whether you work in the medical profession or you’re raising awareness for stress-related illness, our promotional medical stress toys will help you reach your target audience. 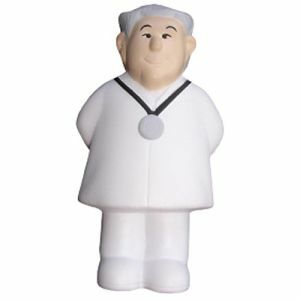 Our medical stress toys can be personalised to advertise your business. Or, if you’re looking to raise awareness of the conditions that can arise from stress, we’ve got a range that’ll strike a chord with your target audience. 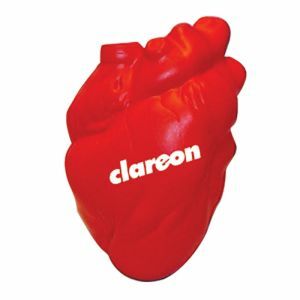 We have two heart-shaped stress toys which are suitable to raise awareness for conditions such as heart disease that, together with strokes, is the number one killer worldwide and our branded stress toys shaped like pills and capsules are a favourite among doctors and pharmaceutical companies. 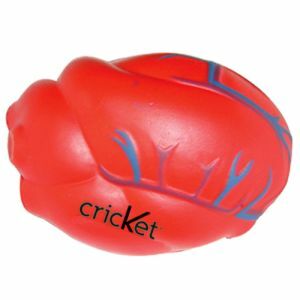 Or, if you’re a psychologist, raising awareness for depression or dementia or promoting events such World Mental Health Day – adding your logo and message to one of our personalised brain stress balls will get people thinking. We also take our oral hygiene seriously at Total Merchandise HQ. 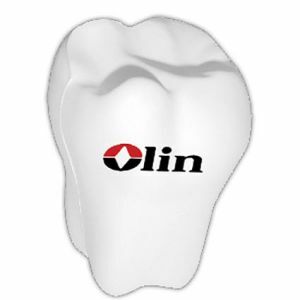 That’s why dentists and hygienists will be impressed at how white and shiny our stress toy in the shape of a tooth is. Opticians are catered for too with an eyeball perfect for promoting regular eye tests. 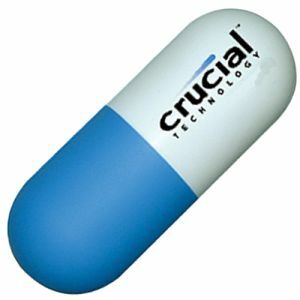 However, our favourite medical stress toy is the stress ‘Bug’. A fun, green blob with a cute but striking face. 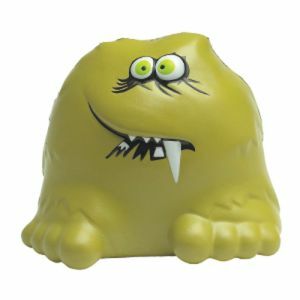 These are popular to raise awareness about the dangers of spreading germs – and kids absolutely adore their silly faces. 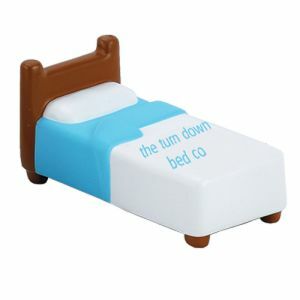 Bed rest is one of the best ways to fight off illness, but we think businesses in the furniture sector will also find our bed shaped stress toy a fun way to promote their company. Can’t find what you’re looking for? Don’t sweat it - we can help. 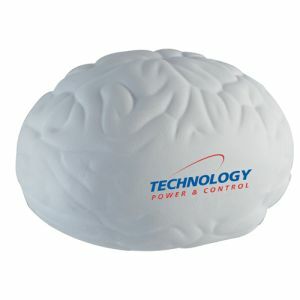 Send us an email, let us know what you need, and we’ll be able to create made-to-order promotional stress ball for your business or awareness campaign.